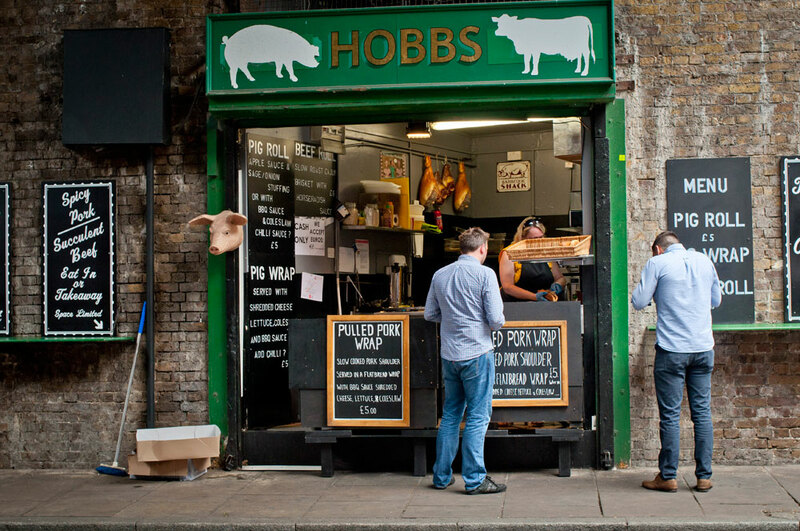 Yesterday I decided to have lunch at Borough Market. It was re-opened again for the first time after the Saturday evening attack last week. The place was packed and people were enjoying their lunch and drinks in the sun. Most of them were wearing office suits, which was an unfamiliar sight to me because I usually frequent Borough Market on Saturdays with my photography students. The first place I headed to was the Black and Blue Restaurant at Stoney Street. 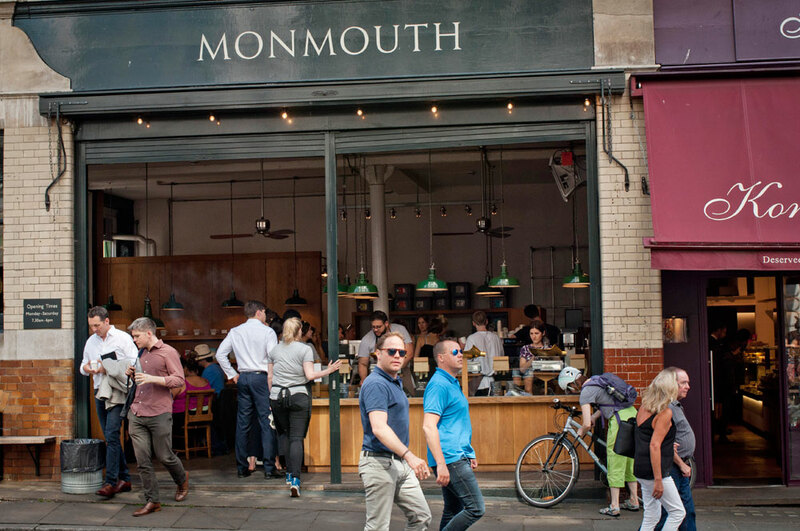 The entrance was heaving with customers. The manager spotted me and spontaneously gave me a hug. “Are you okay?” I asked him. He smiled and told me that he is fine, although last week had been very stressful for him. 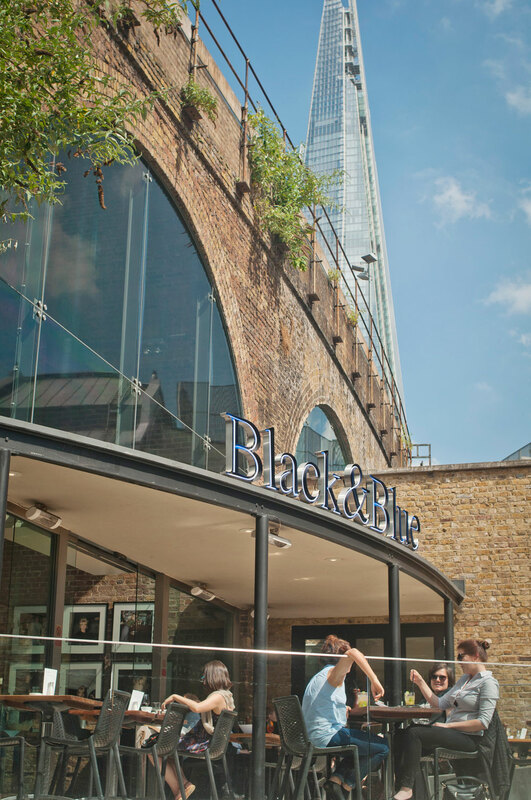 Black and Blue was one of the places that sheltered Londoners during the night time attack. I’ve been frequenting Black and Blue for four years with my students after their photography session inside the market. The staff always gave us “our usual” space to sit, which is the long table near the main entrance. I sat and ordered lunch; sea bass with baby potatoes, and a non-alcoholic apple juice. Delicious. I remembered many inspiring conversations about photography here. And students that were converted to shoot in manual mode for the first time. Before I left the manager offered me a complimentary drink. I laughed and declined politely. “I’ll tell everyone to come here. That this place is back to normal now.” He gave me another hug. Then I decided to photograph around the market. There were other photographers too, which were either tourists with DSLRs or street photographers. They seemed to be careful not to intrude the traders too much. Not that anyone minded. 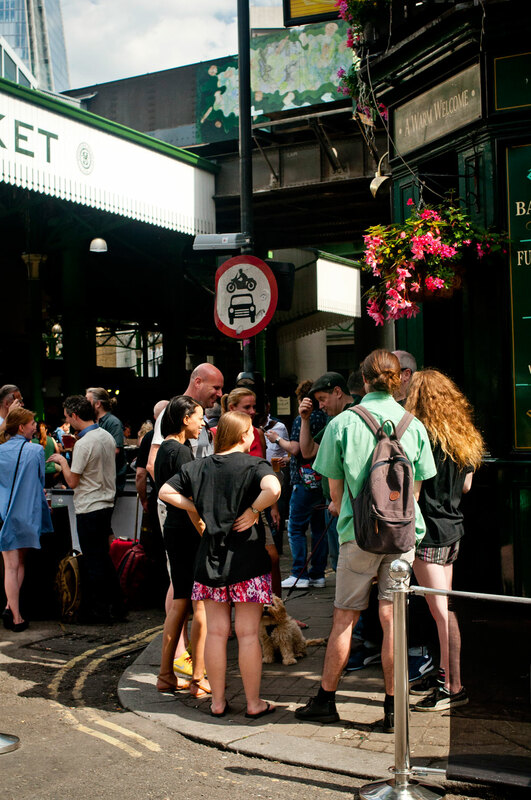 Borough Market is popular with photographers. At one point I felt slightly overwhelmed with emotion, because everything looked so peaceful despite what had happened. I composed myself and continued, because a photographer has to be objective about the subject after all. I ran into another photographer, Phil, who wanted to find a bakery worker who saved the punters and say thank you in Romanian. He was practising how to say “mulțumesc” using Google Translate. Londoners are wonderful like that. I’m fortunate to be able to do a job I enjoy. Teaching photography at one of the most beautiful cities in the world. I feel solidarity with the weekend workers here, because I am one of them. 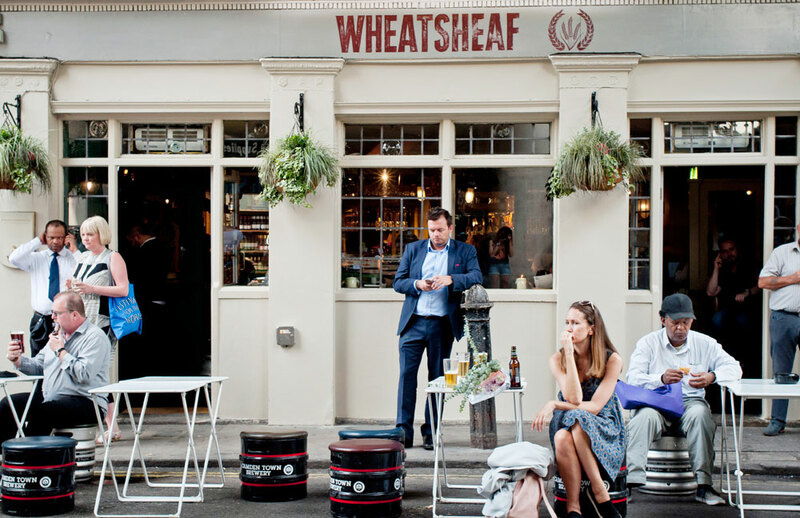 I am proud to be a part of the small businesses that keep London ticking. I ended my tour at Stoney Street again. I did what I normally do when my photography class ended, I stopped being a photographer and became a tourist. 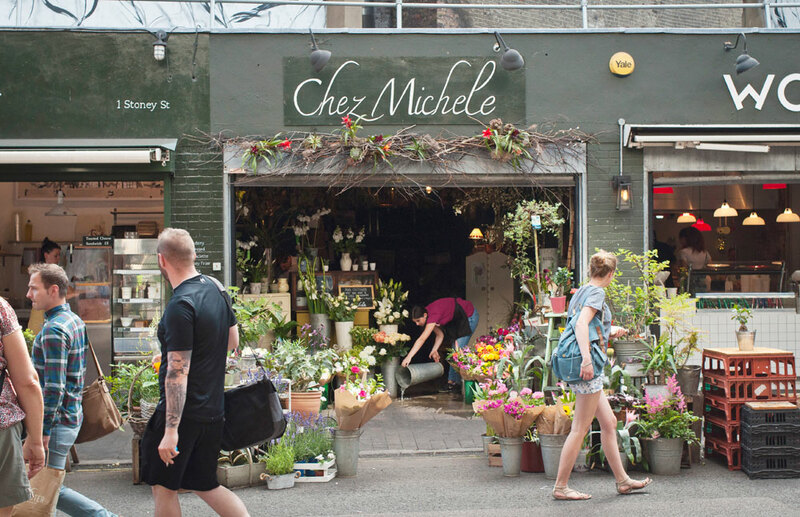 I went Chez Michele florist to buy a few little plants for my balcony in west London. 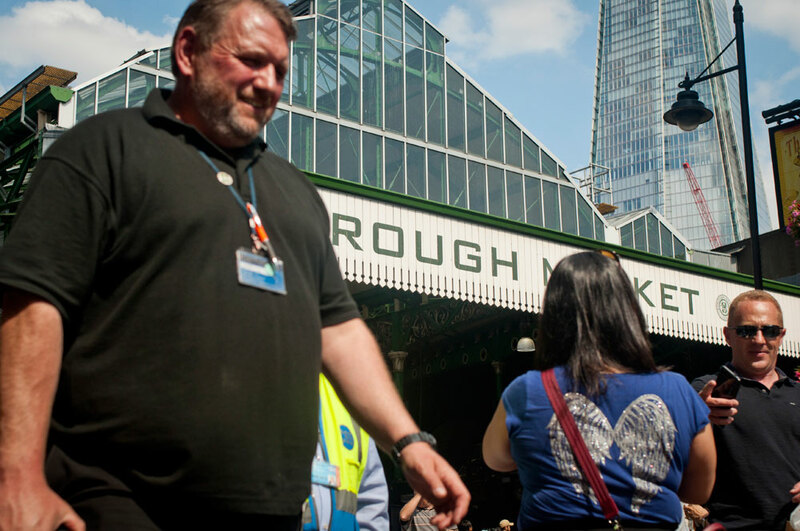 I hope the plants will thrive and create a new happy memory of Borough Market.